What Passive Therapy Modalities does PCS offer in Treatment? 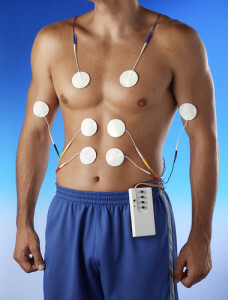 Once the initial consultation and health plan are created, once chiropractic manipulation is completed, and active care plans are set, the patient will spend the next 15-20 minutes undergoing passive therapy modalities such as ultrasound, electric muscle stimulation, cold laser, dry needling, cupping, Graston technique, heat therapy and cold therapy, iontophoresis, muscle stimulation, ultrasound, cold laser therapy, cervical and lumbar traction, massage therapy, and deep muscle stimulation. Graston technique is another soft tissue modality to help treat patients with muscular, tendonous, or ligamentous damage. Graston Technique® is an innovative, patented form of instrument-assisted soft tissue mobilization that enables clinicians to effectively break down scar tissue and fascial restrictions. The technique utilizes specially designed stainless steel instruments to specifically detect and effectively treat areas exhibiting soft tissue fibrosis or chronic inflammation. Dry needling is another service that will be offered at PCS. Dry Needling, combined with physical therapy treatment, has been shown to help the following conditions: acute and chronic tendonitis, athletic and sports-related overuse injuries, post-surgical pain, post-traumatic injuries, motor vehicle accidents, and work related injuries, chronic pain conditions, headaches and whiplash, and lower back pain. Cupping therapy is another service provided by the doctors at PCS. Cupping involves applying a suction cup to the skin in order to create a negative pressure and mobilize tissues in the area therefore decreasing inflammation, increasing blood flow, and decreasing healing time. Cupping will be used largely to decrease inflammation and acute musculoskeletal injuries, to decrease pain, and speed the progress in treating the patient’s condition. Passive therapy modalities will commonly be employed to reduce pain. They are especially useful in alleviating acute pain in the patient.